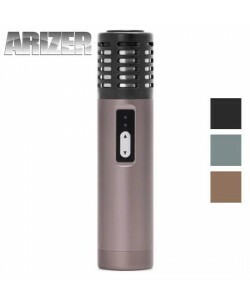 The Arizer Solo Glass Tube is designed to replace the standard glass mouthpiece in the Arizer Solo handheld vaporizer. This vape mouthpiece is fashioned entirely out of glass, so it does not contaminate vapor with impurities the way that plastic and metal components sometimes can. Glass mouthpieces are easy to break due to the fragile nature of the materials. As a result, replacement mouthpieces are typically purchased when the original mouthpiece becomes damaged. Some people like to have an extra glass vape mouthpiece on hand just in case an accident occurs since you cannot use a hand-held vaporizer without one. You may also want to have a spare mouthpiece or two on hand in case you want to share your vaporizer with a friend and keep things sanitary.